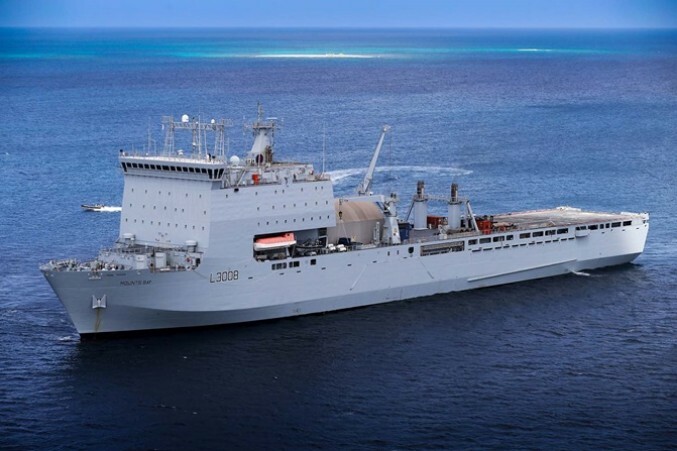 A further 87 engineers, medics, maritime experts and other specialists have joined the regular crew of RFA Mounts Bay, which is the mobile hub of the British relief effort. Approximately 1,000 personnel are deployed or being held at high-readiness for if further storms head towards the region. Defence Secretary Gavin Williamson said: “I want to assure everyone in our Overseas Territories that our Armed Forces have been pre-positioned in the region and are absolutely prepared to help. We will be there to support during this hurricane season while still helping those whose lives were devastated by Irma and Maria to rebuild their lives and homes. As well as being able to carry vital aid and equipment, RFA Mounts Bay will use the Royal Navy Wildcat helicopter on board to provide aerial support. There is also a medical facility on board, with 10 patient beds.